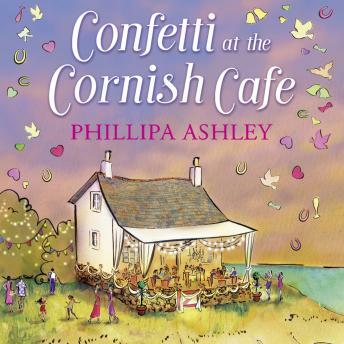 The heart-warming new novel in Phillipa Ashley's bestselling Cornish Cafe series. Cal and Demi are preparing to launch their beloved Kilhallon Resort in Cornwall as a wedding venue. With the cliff-top setting and coastal views, it's the perfect place for a magical ceremony. But their first clients are no ordinary couple. The bride and groom are internationally famous celebrities Lily Craig and Ben Trevone. As secrets surface and truths are told, can Demi and Cal ensure that Kilhallon's first wedding is a success? One thing's for sure, this will be a Cornish celebration to remember . . . Very lighthearted book to read for the Holidays. Nice twist at the end.